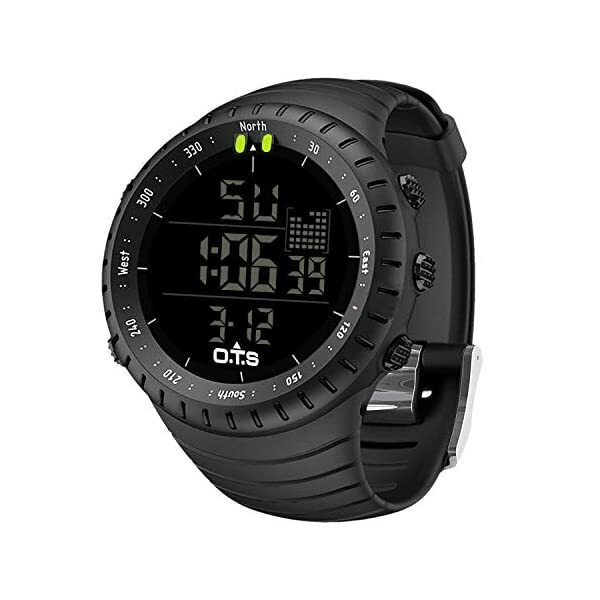 Digital watch: Fashionable sporty dial design, military style outlook. 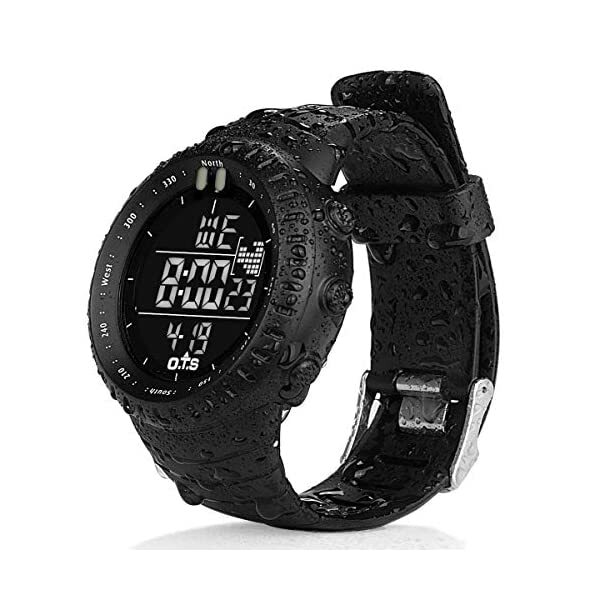 Big numbers display with light and large dial, show time clear even in the dark. 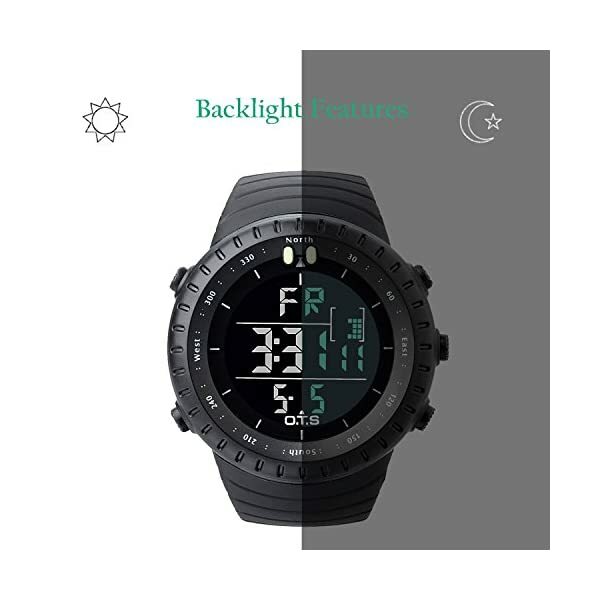 Use import EL Lamp, press “LIGHT” button to see the time clearly in the light, easy to read. 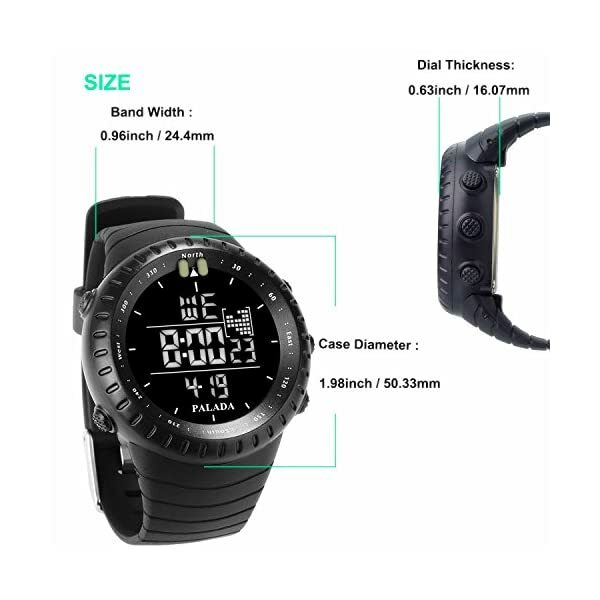 Sports watch: Suitable for men, especially to those who like doing sports, multi-functions make it perfect for both outdoor and indoor sports, such as running, climbing, fishing and so on.